New Balance and RootsRated have teamed up to profile runners making a difference in their communities. We asked each of our runners a series of questions to learn a little more about what running means to them, where they like to run and what are some of their running goals. Theresa Nealon excelled as a collegiate runner and now serves as a coach -- but still gets in plenty of running of her own. Learn more about her in our Q&A or read her full profile here. What is your age / job? 22 years old, Commercial Real Estate Broker’s Assistant by day, Assistant Cross Country Coach by afternoon/weekend for San Marcos High School, Santa Barbara. What inspired you to first start running? In high school I was one of those fast kids in P.E. that the track coach convinced to come out and race the 200 and 400 meters, and that started my career in sprinting. 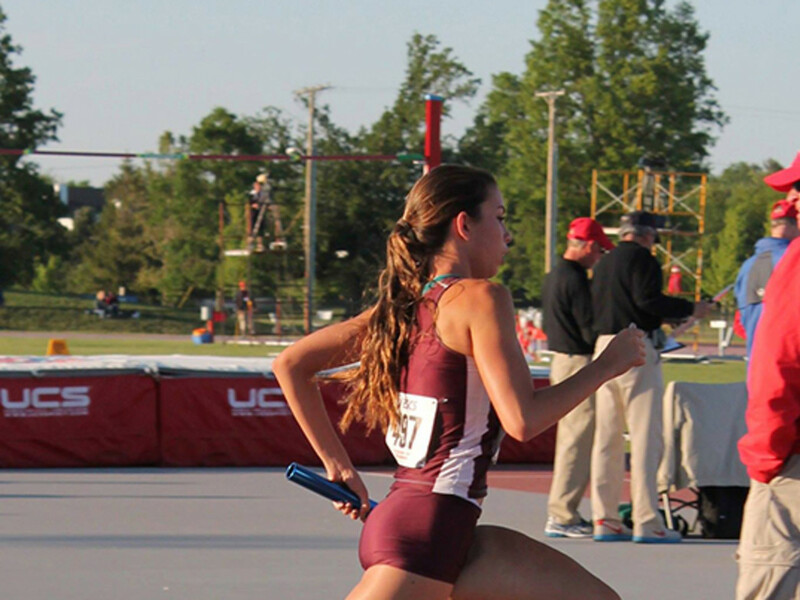 It was definitely a long cry from anything that required distance training, but after I was recruited to Westmont College to train as an 800 meter runner everything changed. I was thrust into the foreign concept of “Cross Country” or what I thought of as the slow death of having to run more than one mile at a time. And yet my college experience was the spark that inspired me to unearth new definitions of what it meant to be a runner, and to never limit myself in what I think I can run, or who I think I can be as runner. I never became an amazing 5k competitor, with only a season best of 19:30, but I would say at the end of my time at Westmont I could run 3.2 miles and run it well. And while at the time distance running was not my forte, it opened the door for me to become the fastest 800 meter runner at Westmont, as well as an appreciation for those longer runs after my collegiate racing days were over. What are your favorite aspects of running? One of the amazing things about running to me is how versatile and adaptable it is as a sport. You can be sweating on a dirt trail going ten minute pace, or kicking up concrete in a road race clocking in at 5 minutes. You can be sprinting hill repeats barefoot in wet grass, or trudging through mud and endless canyons in an ultra marathon. You can be 13 years old toeing the line of your first race, or 80 crossing the finish line and knowing it won’t be your last. It can be something you do alone with headphones, or with your team laughing and sharing stories. Young, Old, fast, slow, long or short, on the track or on a trail wherever you go to run, and however you do it, you are a runner. What is your favorite trail or event? My favorite event will always be the 800 meters. For me it was a perfect combination of my natural speed, in harmony with the newfound strength and endurance of distance training. 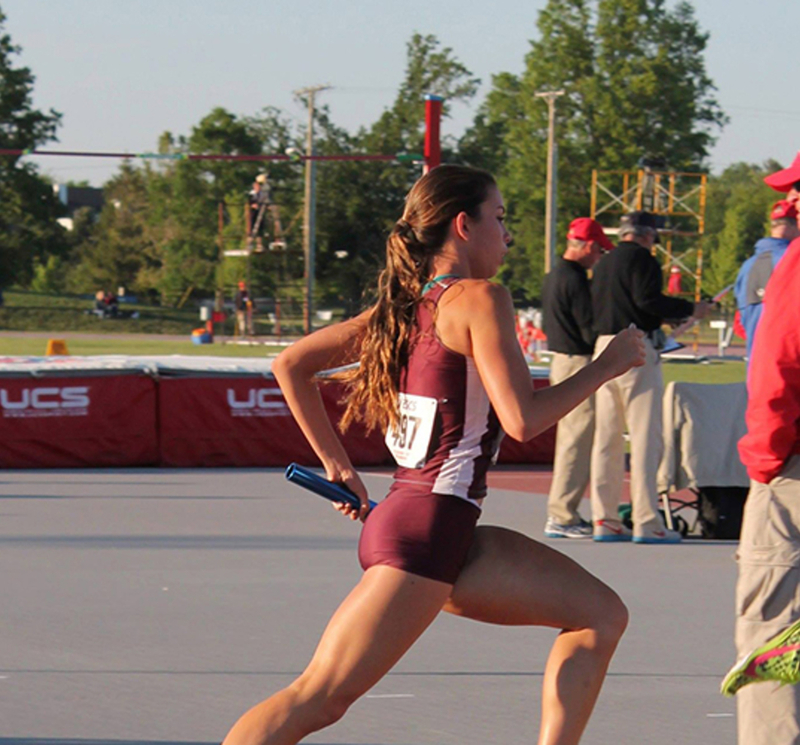 I felt the strongest and most in control of my body when I would run the 800. But now that I am no longer a full time racing machine, I have found that I truly enjoy going on a run just because I want to, and not necessarily because I have to. I am able to be flexible with my training, because I am only accountable to myself and how I am feeling. At the end of the day going on a run is never something that I regret. Do you prefer group runs or solo runs? I think that there is extreme merit in both running with a group or going on a solo run. The energy of the run with a group is so different than on your own. Running with a group is invigorating, the synchronized slapping of feet, the warm greetings and excited chatter can make 5 miles seem to whisk away in mere minutes. On the other hand when you get that itch to go pound out the day or want some quality alone time, going on a run with just nature and your two feet below you can be the best therapy in the world. What are some events / trails you'd like to run in the future?